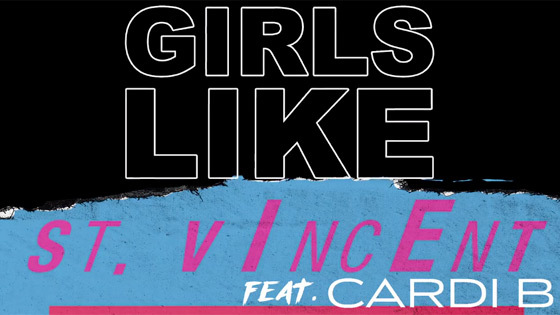 Putting on her remix hat, St. Vincent has had a go at Maroon 5 and Cardi B's team-up "Girls Like You." In an Instagram post, St. Vincent said this of the remix in all-caps: "I HAD THE BEST TIME MAKING THIS MAROON 5/CARDI B REMIX. THANKS TO THEM FOR HAVING ME. LOTS OF DILLA SAMPLES MAKING THE BEAT AND LOTS OF DANCING ALONE IN MY STUDIO." Down below, you can hear the resulting St. Vincent remix of "Girls Like You."